In honor of the 190th anniversary the famous company Bovet has announced a new line of watches Amadeo Fleurier Rising Star, which consists of two models. New items are based on the company's manufactory modified movements of the highest aesthetic demands of the modern watch world. The main modification is the tourbillon carriage, the size of which increased significantly and reached up to 13.5 mm. Tourbillon is hanging by a thin bridge, attracting with its magnificence and elegance, and the sophistication itself like is "floating" in zero gravity, creating the illusion of flight. Bright enamel miniature is decorated the dial with the first model. Thumbnail is a floral arrangement that copied from the old Bovet watches, issued in the XIX century. The second novelty has a blue dial, decorated with a superb guilloche. The watches are indexing time in three time zones. To create cases is used white gold. However, their advantage lies elsewhere: in design. The watch title includes the word Amadeo, which indicates the presence of a patented by the company system of the watch transformation. One flick of your hand will turn the luxury watch into a desktop or a pocket watch to suit your desire. 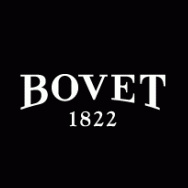 The company Bovet uses this unique system since 2010. To buy the Amadeo Fleurier Rising Star watches is available through the authorized representatives of the company Bovet.